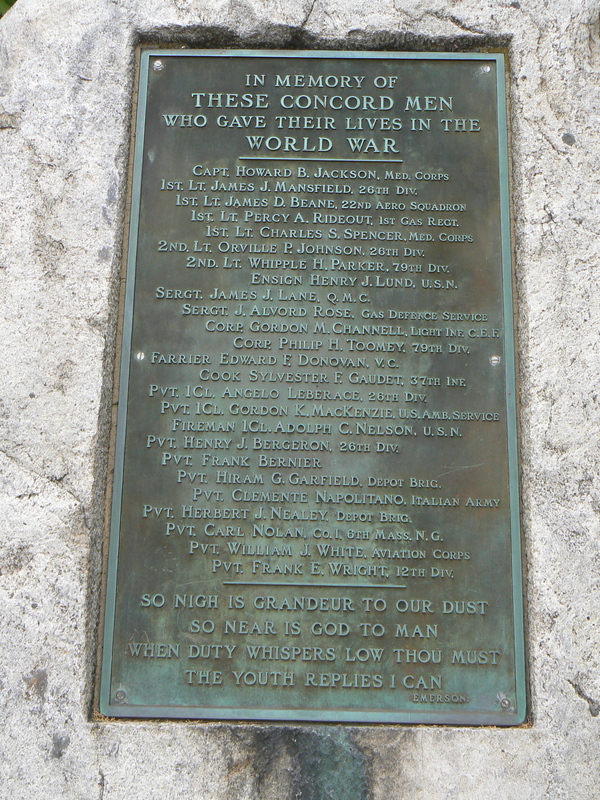 Concord, Mass., honors its war heroes with a collection of monuments on the town green. 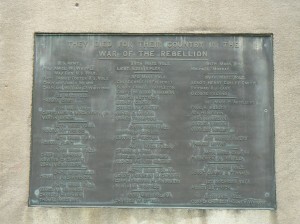 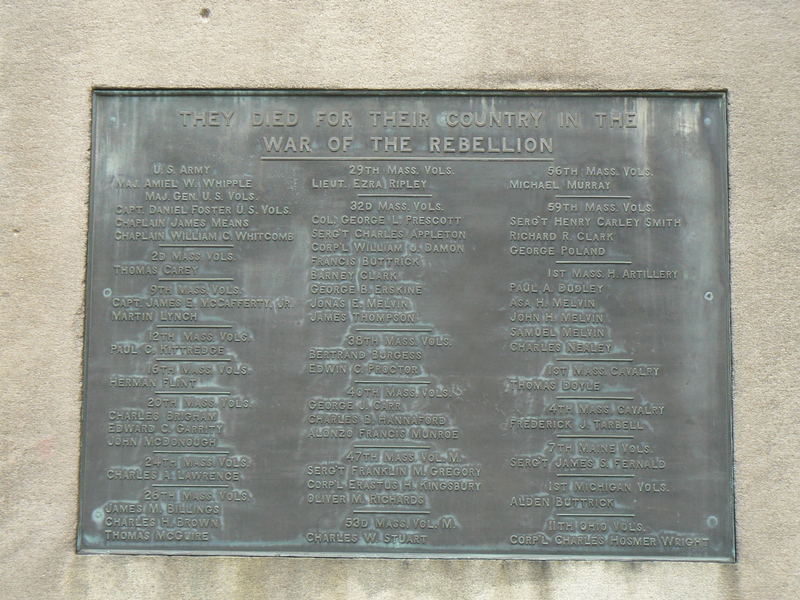 The east face features a plaque reading “They died for their country in the war of the rebellion,” and lists the names of 32 residents. 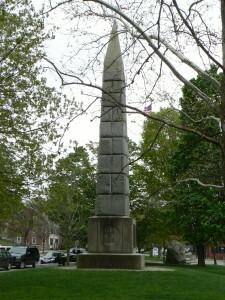 Among the dead are three members of the Melvin family, who died while serving with the First Mass. 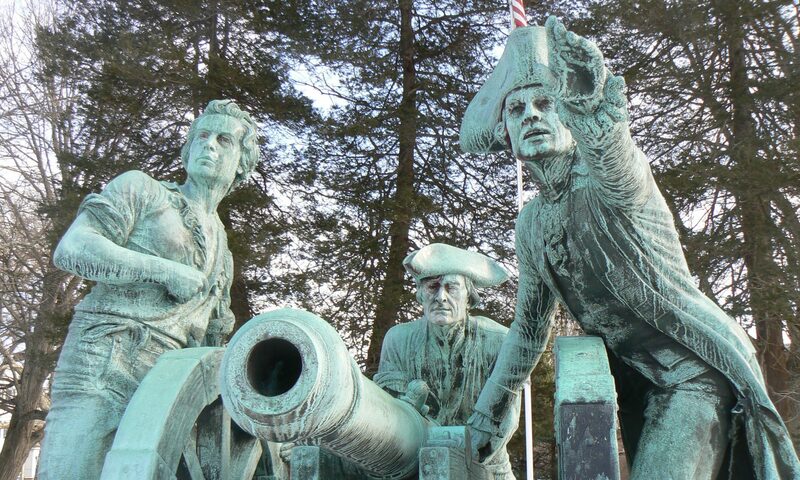 Heavy Artillery. 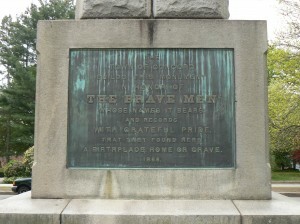 The south face has been inscribed with the dedication, “Faithful unto death,” and the north face bears the years of the Civil War. 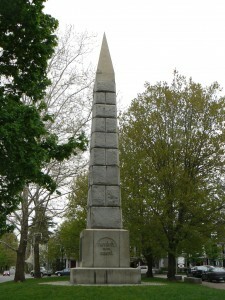 The monument was dedicated on April 19, 1867, the 92nd anniversary of fighting at Concord’s North Bridge at the beginning of the American Revolution. 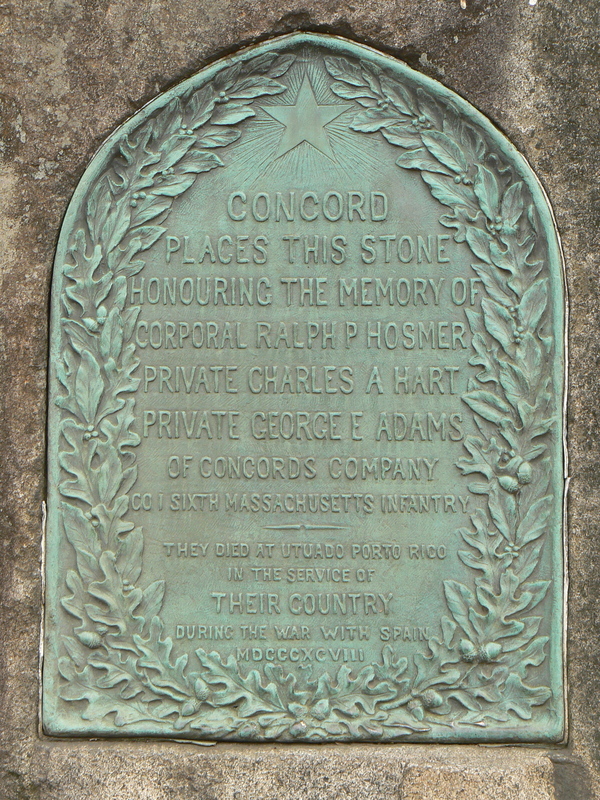 The date also marked the anniversary of the departure of Civil War troops from Concord in 1861. 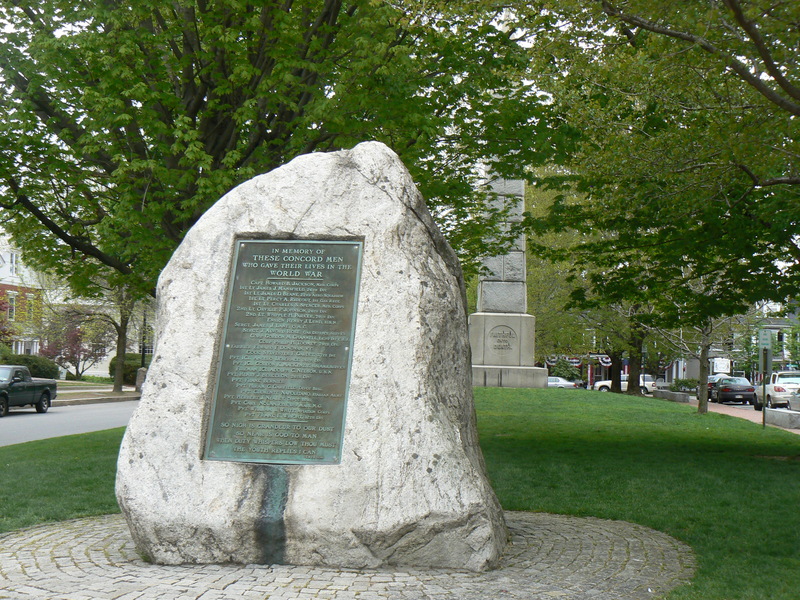 The monument’s foundation contains a large granite block from the abutment of North Bridge. 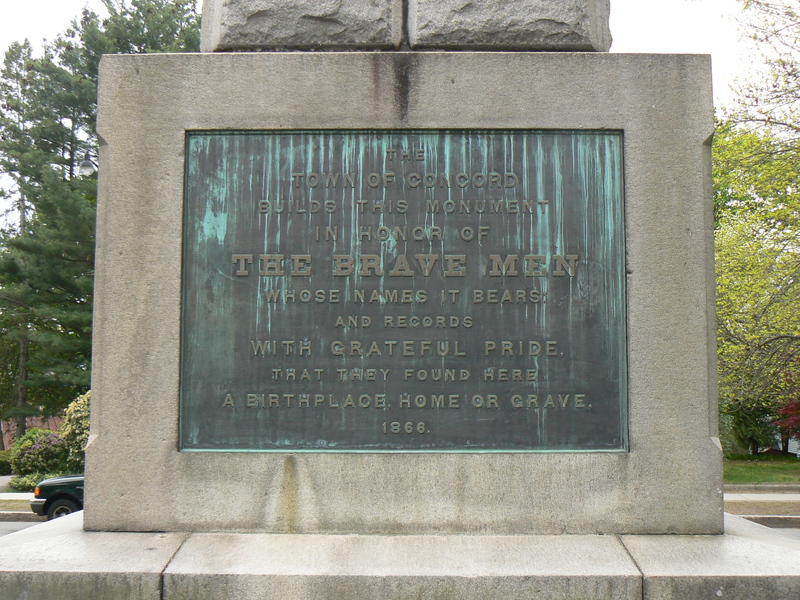 The Civil War monument was designed by Hammatt Billings, an architect and artist who illustrated the first edition of Uncle Tom’s Cabin. 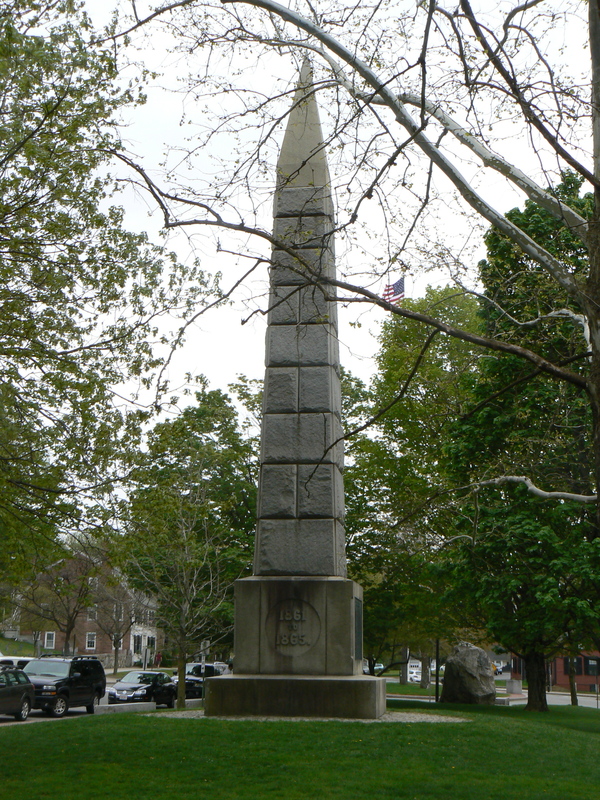 Billings also designed the National Monument to the Forefathers in Plymouth, Mass., as well as the original platform protecting Plymouth Rock. At the green’s south end, a large boulder features a plaque honoring 25 residents who died in World War I. The plaque also includes poetry verses writted by Concord resident Ralph Waldo Emerson. 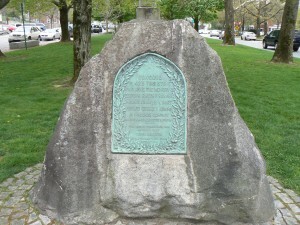 At the north end of the green, a plaque affixed to a boulder honors three residents who were killed in the Spanish-American War. 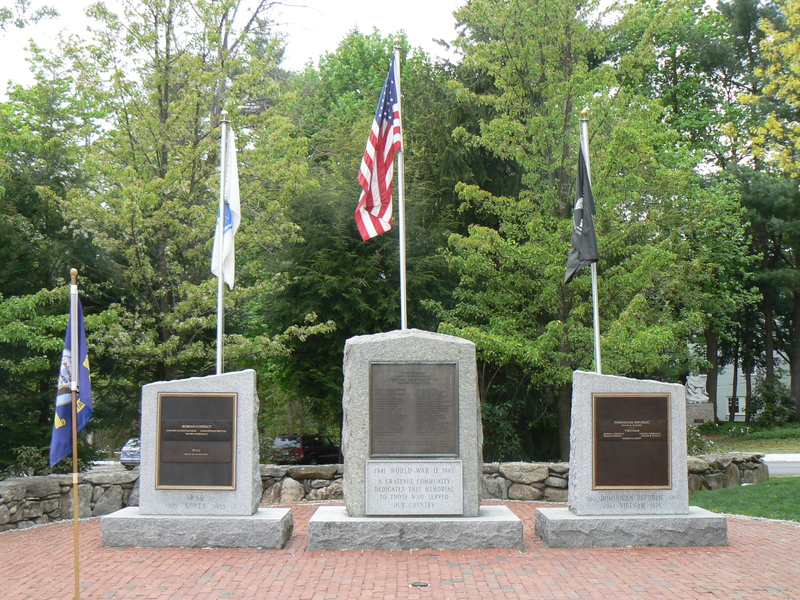 Southwest of the green, a small plaza has three memorials commemorating those lost in more recent conflicts. 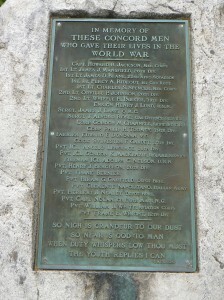 The central monument honors the 25 residents lost in World War II. 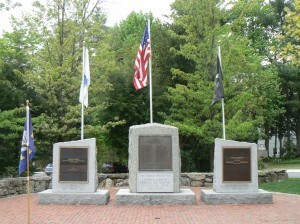 The monument on the left honors three residents killed in Korea and one lost in Iraq. 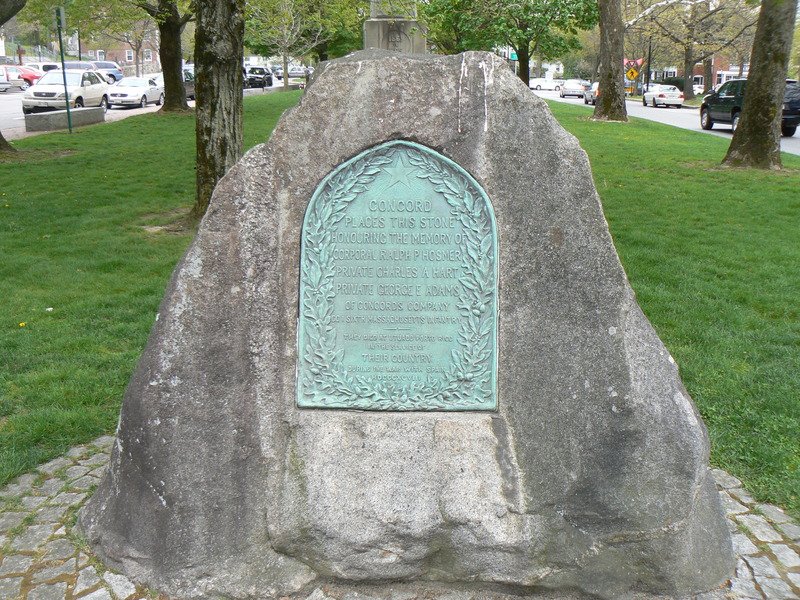 The right monument honors five killed in Vietnam and one who died in the U.S. occupation of the Dominican Republic in 1965-66.